In 2002, certified Bikram yoga instructors Brandon Hartsell and Nicole Shaw started a new venture: Sunstone Yoga. This business wasn't only for them, however. After branching out with three locations in the Dallas area, the pair decided to enable other yoga instructors to own a studio through a rare animal in the world of yoga: franchising. Specializing in hot yoga and power yoga, Sunstone has mushroomed on the yoga scene as one of the top yoga studios in the country for student experience and teacher training and certification. Recognized by the Yoga Alliance, Sunstone has made considerable advances in their methodology and practice. Fire, for "health and vitality"
Earth, for "fitness and flexibility"
Metal, for "stamina and strength"
Water, for "mental and physical harmony"
Sunstone also offers entry-level kids yoga to improve flexibility, balance and fun, as well as "84 Asanas," an invitation-only course. More than 100 teachers are available at the three primary locations and the first franchise outlet in North Dallas. There are approximately 20 million yoga enthusiasts in America. Consequently, thousands of independent yoga studios thrive. Many yoga centers have multiple locations, such as Yoga Works, with studios in New York, Los Angeles and Orange County, Bikram Yoga Centers, under the direction of method founder Bikram Choudhury, and the worldwide Dahn Yoga. Each of those entities exists under a corporate umbrella. Many modern gurus have trademarked their intellectual property as well; yogi masters such as B.K.S. Iyengar of Hatha yoga fame and Bikram. Bikram has even attempted franchising, but has encountered many difficulties. Sunstone Yoga was one of the first independent studios to try franchising. Many instructors would like to expand their clientele, have uniform teaching training, and offer more levels of practice, but lack the time and often business experience to accomplish these goals. Sunstone is trying to promote a business model that satisfies both the lifestyle choice and professional career aspirations of many instructors. 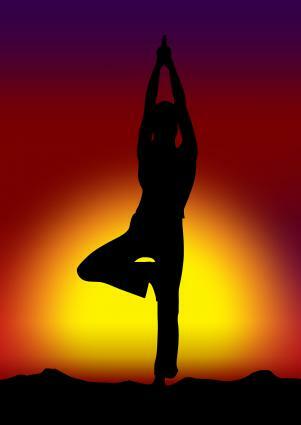 Why Own and Operate a Franchise Yoga Studio? If you think you have what it takes to own a small business, you may ask yourself: why not just open my own yoga studio? Sunstone Yoga answers that question this way:"In addition to our outstanding business system, Sunstone Yoga offers you the wonderful advantages of franchising. A growing number of Americans are turning to franchising to realize their dreams and goals." The sheer number of franchises in the United States and the resulting sales - Sunstone boasts approximately $1 trillion, or "40 percent of all retail sales," from more than 320,000 franchises. The success of franchising - Sunstone notes that one in twelve retail opportunities is a franchise. The proven track record of Sunstone Yoga helps you become established and successful. The power of a support network that a franchise provides and be instrumental in setting up a successful business. The investment needed to start a Sunstone Yoga franchise ranges from $147,000 up to $327,000. To properly outfit the location with the hot yoga heating and ventilation system might cost as much as $94,000, with the average price closer to $56,000. Visit Sunstone Yoga to get more information about their franchise system. Whether you're looking for a new yoga studio around Dallas or investigating the potential of becoming a studio owner, this innovative company seems to be leading a yoga revolution.